A trickle isn’t going to cut it. You might have wished for a new family or two to join your church every week or two, but that’s not how it works. Churches grow in leaps and bounds. Over the past ten years, New Song has doubled in size. 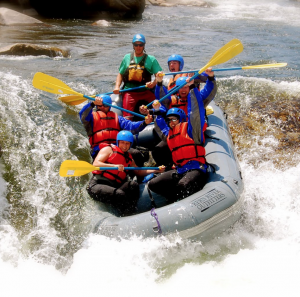 All of our growth has come from leaps forward during strategic seasons and initiatives, followed by periods of consolidation. First, we attract newcomers. Then we enfold them into the family and ministries of the church. A Wow Weekend is a weekend service with such an interesting guest speaker that when people hear about it they say, “Wow!” We hosted a former mob boss who was on America’s most wanted list when he came to Christ. He’s the first person ever to exit La Cosa Nostra and live. “Wow!” Our attendance leaped by 400 people that weekend. Now we’re in the process of enfolding those newcomers. Twice a year we host a four to six week Church-wide Campaign around a widely felt personal need like family, marriage, finances, or questions people have about God. Rick Warren wrote the original Church Campaign using his book The Purpose-Driven Life. We grew by 8% during that campaign – and it opened our eyes to the jump in attendance that a well run campaign can bring. During our next campaign (The God Questions) we grew by 10%. During a campaign on the end times (Future History), we grew by 18%. Using Jonah, we grew 17%. A Comeback Event is a weekend service or multi-week campaign designed to attract the unchurched and draw-back those who have dropped out of church. A few years ago, we started having a Back to Church Sunday in September. Outreach, Inc. and Lifeway Publishing have grown it into National Back to Church Sunday. Last year 30,000 churches participated – seeing a 35% increase in attendance that weekend. In the fall of 2015 we hosted a Comeback Campaign called I Love Sundays. The I Love Sundays campaign helps families cope with their super busy lives by re-centering around Sunday rest. Imagine your church taking a 35% leap in attendance on Back to Church Sunday, and then consolidating that growth during late September and early October in a four-week I Love Sundays campaign. 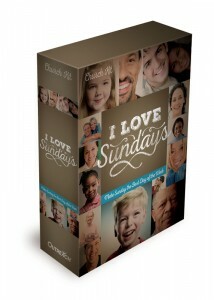 You can get the the I Love Sundays book, along with the four-week I Love Sundays Campaign on PastorMentor.com and Outreach.com. Now is a great time to put WOW weekends, church campaigns, and comeback events on your church calendar. We have found that late September, late January, and the Sunday after Easter are the best times because that’s when people are more open to an invitation to something special at church.